Positioned to compete against both premium products like Land Rover’s Freelander and mainstream motors such as Nissan’s X-Trail, the CR-V has plenty of appeal. Dating back to 1995 you could say the CR-V is something of a staple in the Honda range, and by the time the 2006 model was introduced was onto its third generation. Positioned to compete against both premium products like Land Rover’s Freelander and mainstream motors such as Nissan’s X-Trail, the CR-V has plenty of appeal. Impressive on-road manners, a well-screwed together interior and the firm’s excellent reliability record are definite plus points of this family SUV. 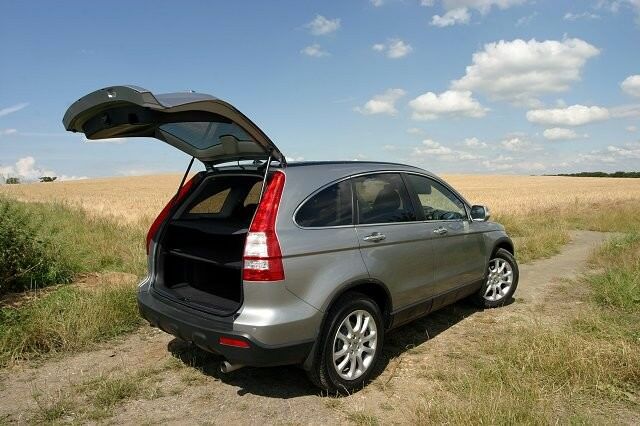 As with almost all of its rivals, the CR-V is only available in the one body style; it's a five-door family SUV. Thankfully this third generation dispenses with the heavy and often impractical side-hinged tailgate for a conventional style hatchback opening. Less inspiring is the engine range - not because they’re unrefined or uneconomical, but because there is only a choice of two. The 2.0-litre petrol unit is actually very good, its 150hp output providing brisk acceleration and average consumption. However, it’s the 2.2-litre diesel that is most common on the used market, for good reason; in the real world it’s probably quicker and the fuel consumption figure is an impressive 6.6 litres/100km. Choose the five-speed automatic gearbox and both the performance and economy suffer though. At least the shifts are smooth and refined, though we’d probably recommend the more involving six-speed manual transmission unless you have to deal with a lot of traffic. Regardless of which gearbox you choose though, the CR-V is well equipped throughout the range, which runs from SE, SE+, ES and EX models. All models come with full-time intelligent four-wheel drive, maximising economy when not needed, and traction when required. This one’s easy - first of all you’ll need a 2.2-litre diesel engine and the good news is that, on the used market, there’s approximately four times the number of diesels available than there are petrol models. Even the base specification cars are well-equipped, but we’d recommend you seek out an ES or an ES Sport. The six-speed manual gearbox is a more common configuration too, which is great news for cash conscious buyers as both emissions and economy are better than with the five-speed automatic. If you don’t plan to spend any time off-road then there are few SUVs as capable as the Honda CR-V. Refined and with a car-like driving experience that is almost unmatched by its direct rivals, the Honda is an excellent family car. Its ability to straddle the class divides is another reason for its appeal, and only the lack of engine choice will limit it for some.